Pure Aquatics is proud to be the representative for Trome drum filters in the Australian and New Zealand market. 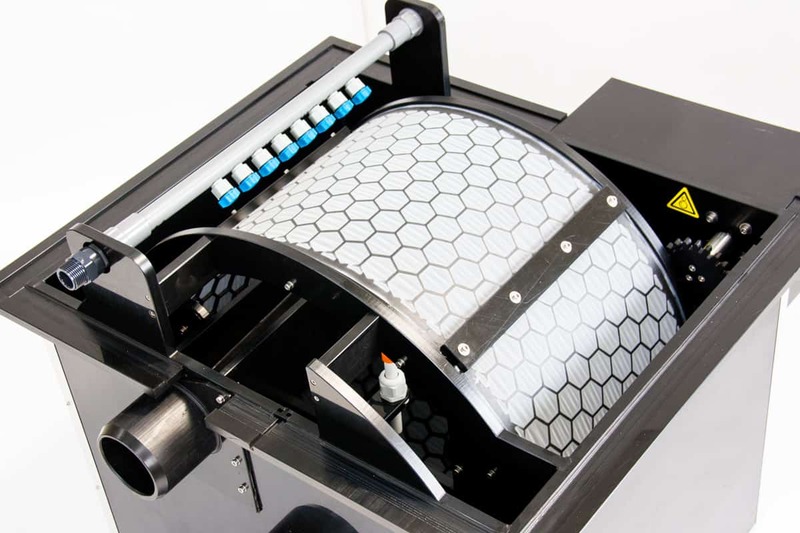 Trome offers a complete range of drumfilters for each application and solution. 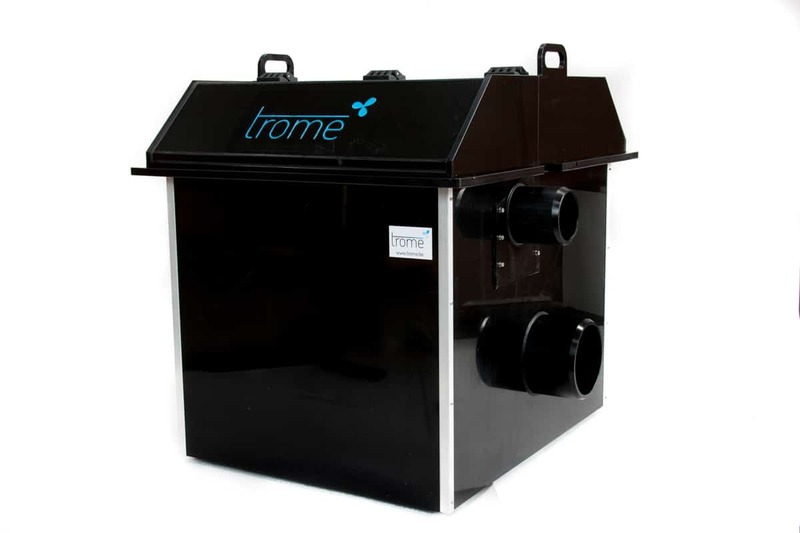 Trome offers a superior drum filter built from HDPE for the ultimate in compatibility with both salt and freshwater applications, because of this, Trome is able to offer you a high quality and price efficient drumfilter. 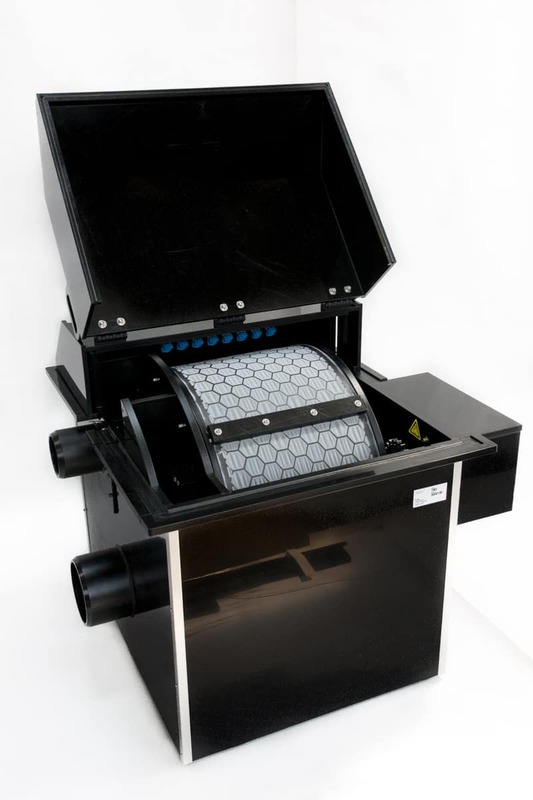 Drumfilters remove solid particles from a water flow entering the filter and are used in many different sectors. 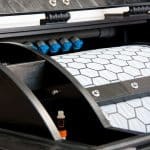 Compared to other solid removal techniques, the major advantages are its small footprint, ease of use, low maintenance, reliability and its fully independent and automatic operation. 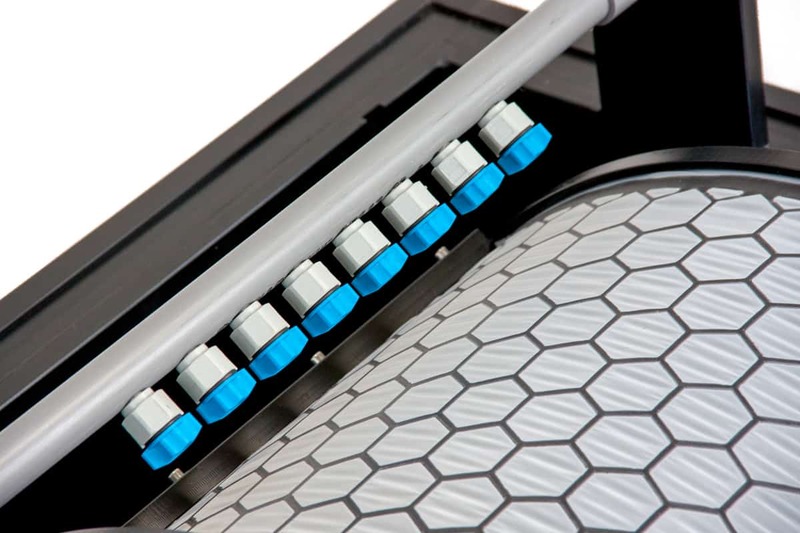 Thanks to our extensive experience in aquaculture, Trome and Pure Aquatics will gladly advise you to ensure that the drumfilter best suits your needs. 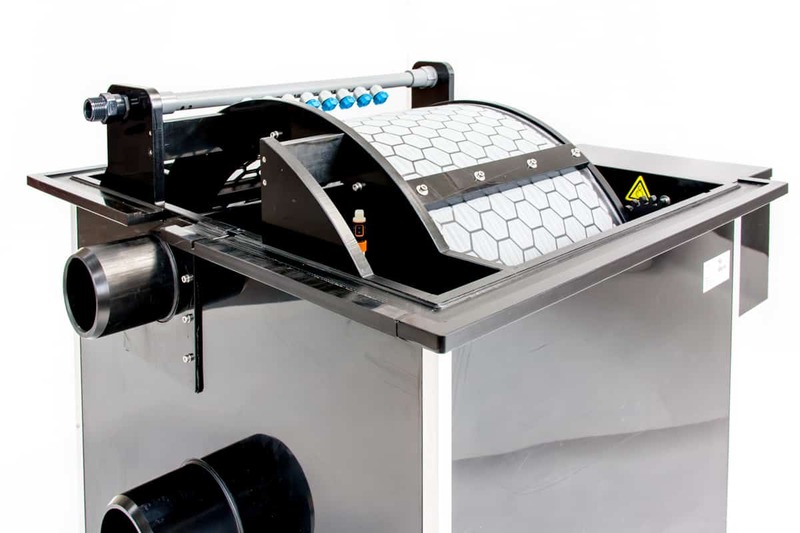 Trome – Rotating Drum filters for Aquaculture. Trome have excelled in the engineering of a superior drum filter. 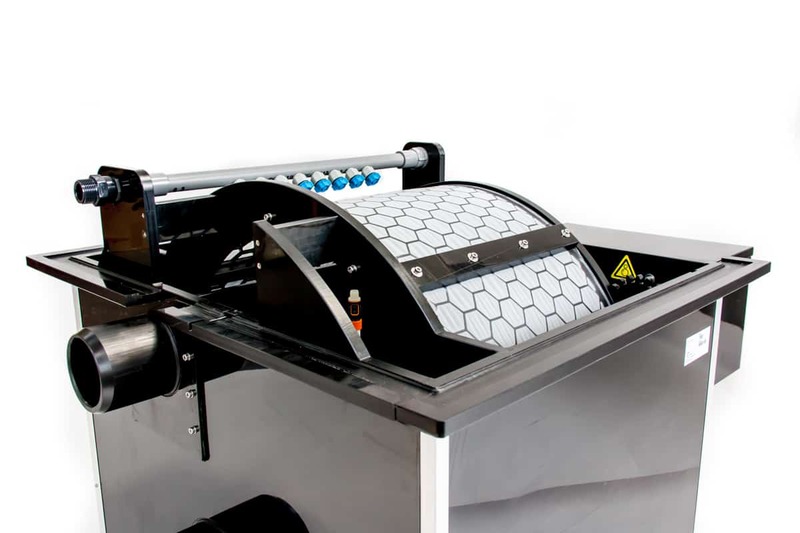 Tromes high surface area mesh and specialised design criteria has resulted in a drum filter that has a higher surface area screen for equivalent flow rates to other manufacturers. 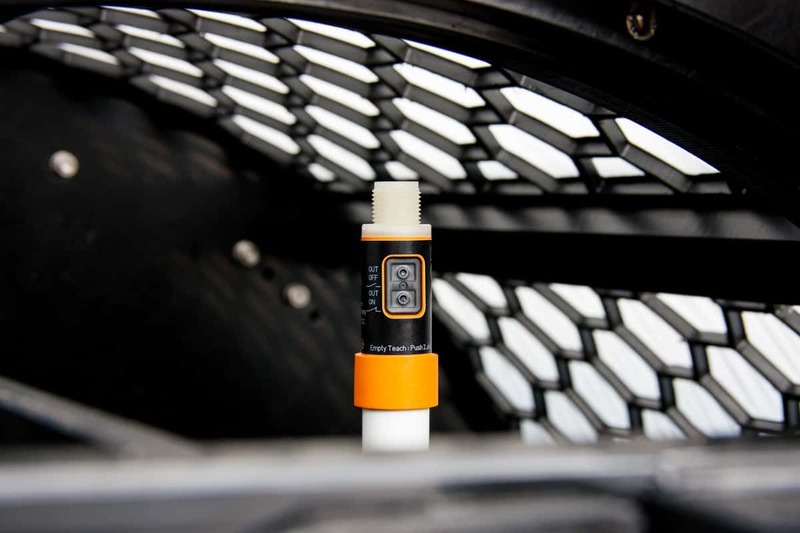 This results in less run time, less wear and tear and above all, less water use. 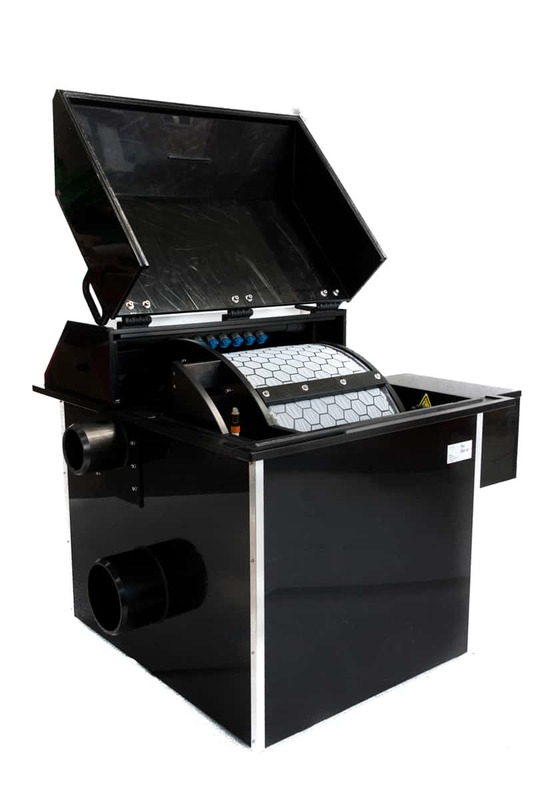 These three pieces of information will allow you to determine how the manufacturer has sized their filter, how much water will need to be filtered per unit area, and subsequently what the performance of the drum filter will be (backwash frequency for example). Beware of manufacturers that overstate their flow rate capabilities for their screen sizes, it is important to take into account ONLY effective surface area in the filtering capability of a drum filter.